Information about horse: Enzed came back into Turning for Homes program through no fault of his own. This handsome devil is a love. He has been trail ridden and while not naturally brave he will try his best to please you. 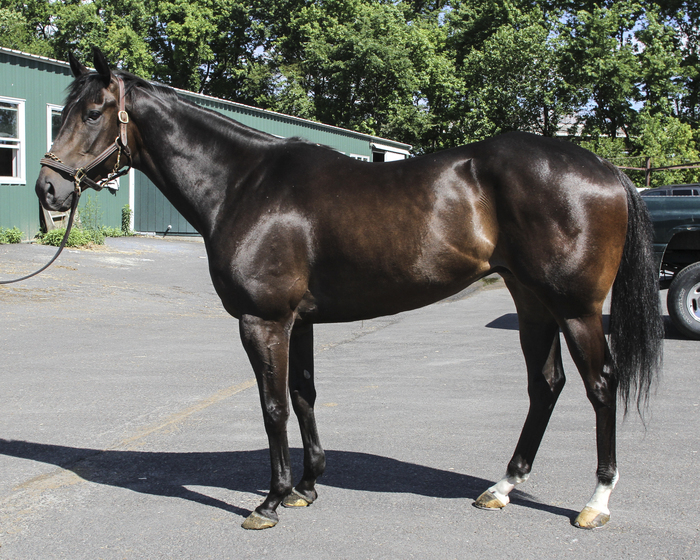 He likes the slow and easy pace of life off the track and would be better suited in a relaxed trail and flat work riding situation. Beginners have ridden him with supervision and while he has a sweet and kind disposition he can get nervous and will feed off of his rider so it is best he is matched with a confident quiet rider. He has a healed sesamoid injury and does have xrays. If you think that you would be a match for Enzed please contact us.